2016 marks the 20th anniversary of the Pokémon franchise. Yes, it's been 20 years of trading cards, video games, toys, lunch boxes, TV shows, movies and all the other crazy stuff that's come from the world of Pokémon. Sort of hard to believe, right? To celebrate, The Pokémon Company has announced two major things. 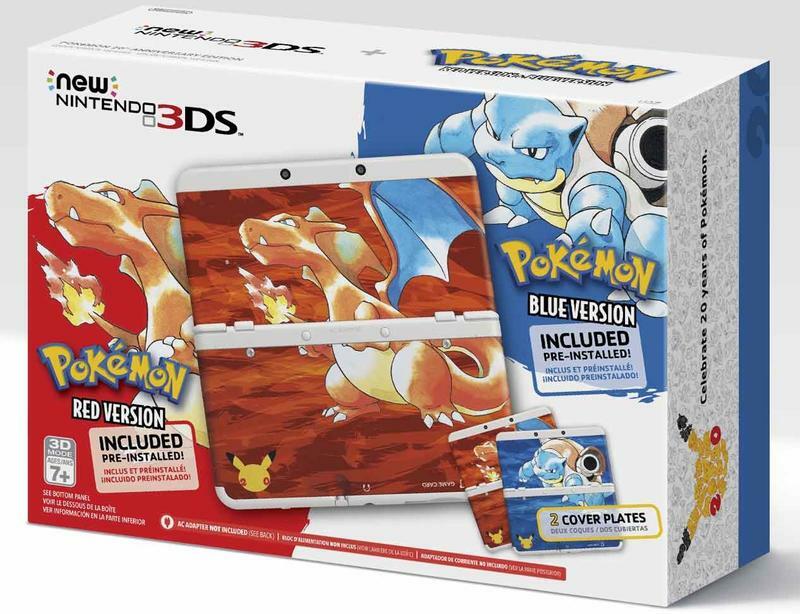 First, they're set to release a brand new New Nintendo 3DS bundle. The bundle will feature two cover plates and both the Red and Blue versions of the original Pokémon re-releases pre-installed. Second, The Pokémon Company revealed that they'll be airing a live-action Pokémon TV commercial during the Super Bowl. Never thought I'd be writing those words before, and yet there they are. They didn't indicate what the ad would be for, exactly, but imagine if they used the large space to reveal more about the upcoming Pokémon GO mobile game? The ad will supposedly encourage fans to "Train On," suggesting some sort of hashtag campaign. Here's how the release reads on this point. The Pokémon Company International announced today that it will air a new ad during Super Bowl 50 on Sunday, February 7, which will encourage fans to Train On. In that spirit, fans are encouraged to share their favorite Pokémon memories on Twitter, Instagram, and YouTube using the hashtag #Pokemon20. I imagine we'll see a whole lot of Pokémon this year, folks. Strap in.